What a 2017 its been! Now we build, for a big 2018. From renewable energy advocacy and expansion, to climate actions and protection of our local environment, we did so much together with you. And we’ve done it all through the incredible efforts of our volunteer teams. Your support provides the materials and supplies that they need to make change a reality. As 2017 began, we built community. Our volunteers reached out to over 150 merchants about the Long Beach Bag law- work no one else would do. We turned out 80% of the comments on the LIPA & PSEG LI revised plan to include more renewables. Because it all needed to be DONE. None would have happened without our team. 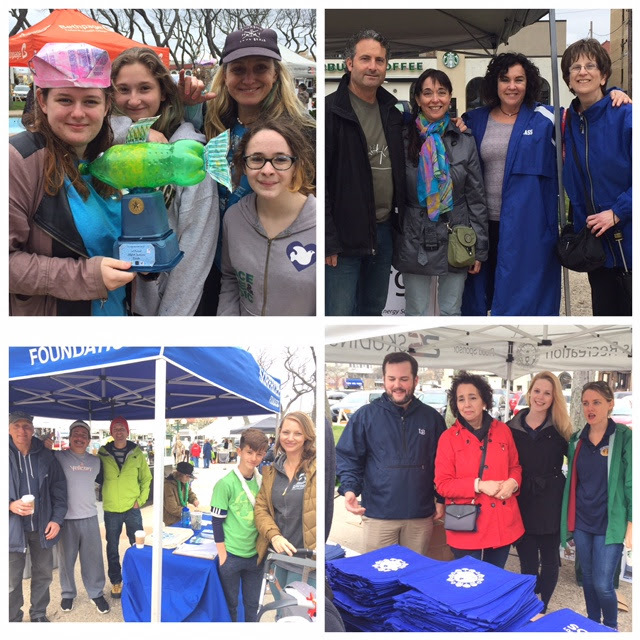 We helped kick off the Long Beach Bag Law with help from so many on Earth Day. The next week we helped 1000 successfully join the People’s Climate March in Long Beach with our partner organizations. With those partners, we organized the LI Climate Summit, where over 200 attendees workshopped on ways to address climate change. With help from our friends at EmPower Solar we launched a far-reaching talk on Long Island community solar. Our Nassau-County-wide reusable bag campaign kicked off in Sea Cliff and Lynbrook, including building teams of local volunteers. We joined in the Long Beach edition of International Coastal Clean Up day with many incredible partners. We brought together many partners for the local screening of “Ocean Frontiers 3”, with an amazing panel discussion. Our Sea Cliff Team made huge strides meeting 600 petition signers in one day, with additional events now involving the Village of Sea Cliff. We raised another 900 bags donated from companies, making the total given away this year to over 1600 so everyone can bring their own bag!! As we go into the new year, support is needed for All Our Energy’s important work to continue into 2018. As a 501c3 organization, all donations to All Our Energy are tax deductible. Newsday published my (highly abbreviated) letter about Suffolk County’s single use plastic bag proposal this week. We are pushing for similar action in Long Beach, to eliminate single use plastic bag pollution. Thank you for your support. Can you display that support with one of our bumper stickers?? this show of support will help your neighbors and everyone become aware and transform Long Beach to a reusable bag culture, saving our waterways from tens of thousands of plastic bag assaults and helping keep our streets clean. Please save the date for our next showing of Bag It at Bridgeworks on April 1! Tonight, Friday Night March 4, 2016 at 7pm, join All Our Energy, the BYO Bag LB Campaign along with the City Of Long Beach, The Long Beach Chamber of Commerce, and Surfrider Foundation Central LI Chapter, with pizza and refreshments sponsored by Cybernet (http://www.cybernetny.com/) and EmPower Solar (www.empower–solar.com/) for family Friendly Friday night movie showing of “Bag It” at Long Beach City Hall. Many thanks to Councilman Anthony Eramo for his help to bring the campaign to the public through official city channels! Now we need your help to expand and show the widespread public support (that’s YOU) that there is for eliminating single use plastic bag pollution. 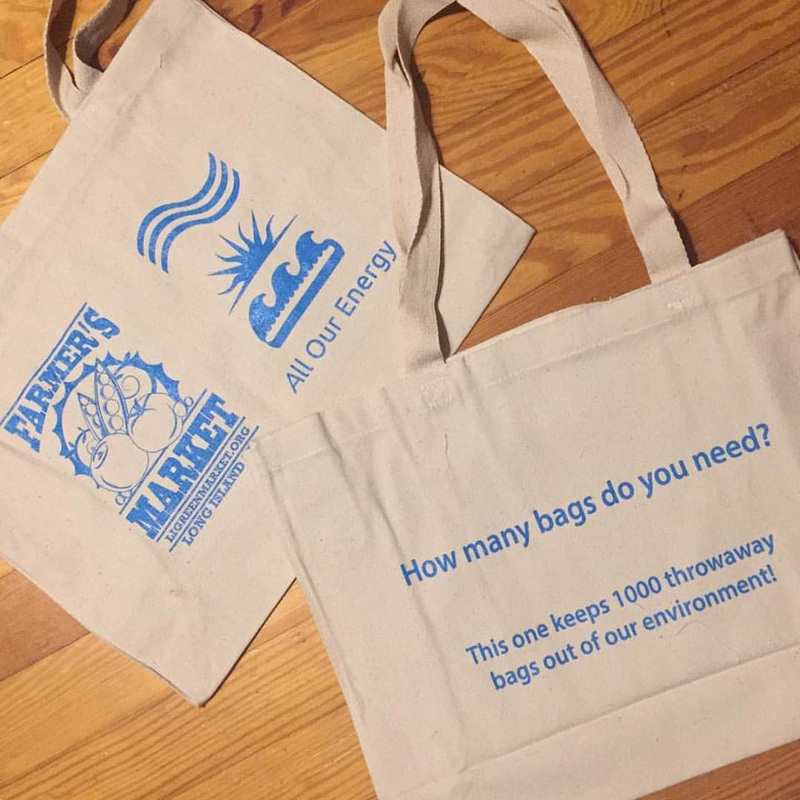 Let’s make this a dinner table topic and transition Long Beach to a reusable bag culture!